For those of our patients who live with unwanted excess body fat, we offer TruSculpt 3D, an innovative, non-invasive liposuction procedure that reveals a sleeker, slimmer you. Are you averse to cumbersome surgical procedures with inevitable downtime attached? Do you live a life on-the-go and would rather not disrupt your routine, or do you want to keep your aesthetic enhancement objectives discreet? If you answered “yes” to any of these questions, then TruSculpt 3D is the choice for you. 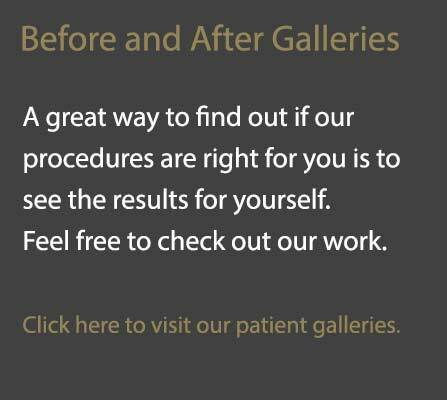 We provide non-surgical procedures that utilize cutting edge technology at Heller Plastic Surgery. TruSculpt 3D heats the deep layers of skin, removing unwanted fat to smooth and improve your body contours. TruSculpt 3D even helps reduce cellulite. Our patients can see an undeniable difference in just 1-2 sessions. Who Stands to Benefit From TruSculpt 3D? TruSculpt 3D treatments are designed to suit individuals from all walks of life and of all skin types. During your initial consultation, we’ll determine what the best course of treatment is to achieve your individual aesthetic enhancement goals. We give each and every one of our patients their own unique treatment plan. How Exactly Does TruSculpt 3D Work? The first step is scheduling a visit with Heller Plastic Surgery. After we’ve determined the course of treatment that best suits you, we apply the versatile TruSculpt 3D handpiece to the skin, delivering precise, targeted pulses of RF energy, dialed to the calibration that achieves the best results for your body type. These energy pulses cause fat cells to heat and shrink, resulting in skin contraction, slimming the body contours while smoothing cellulite. Heat levels can be adjusted to the comfort of each patient. The entire process is pain-free with zero discomfort. Treatment time lasts anywhere between 15 minutes to an hour. Many patients get in and out of our office within the course of a lunch break. Each pulse lasts about 4 minutes. Typically, the larger the area, the longer the treatment time. Of course, TruSculpt 3D will not yield the same fat removal results as liposuction. But the TruSculpt 3D process still yields undeniable results without ever having to resort to surgery. We have additional options for those of our patients who need more dramatic results. Contact Heller Plastic Surgery today to learn more. We’ll schedule your initial consultation and put all of our energy into creating a lasting change.